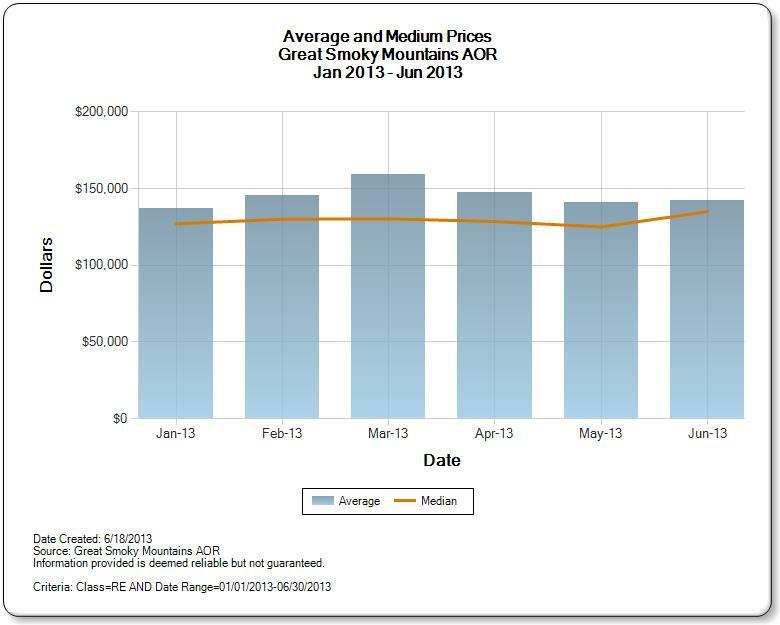 What’s the Average “SOLD” Price in the Smokies? One of the questions we get asked frequently is “What are homes selling for”? There are a couple of ways to think about that. One is “Average Sale Price” in the market. Here is a current graph of the average price all of the residential sales closed in the county this year so far. Keep in mind that this number includes all the foreclosures, fixer uppers, tear downs etc. The average price of SOLD homes in this MLS during 2013 YTD is $165,286. 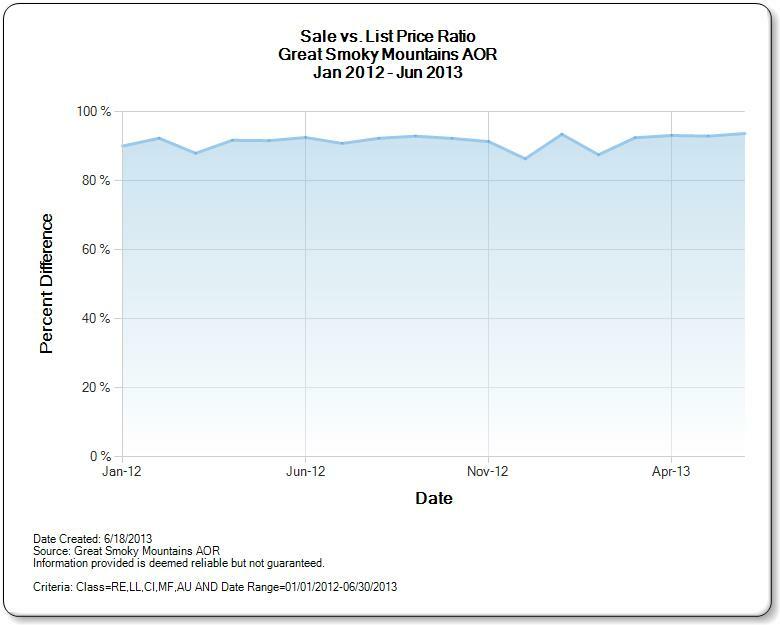 Currently in our Great Smoky Mountain MLS, the average list-to-sale ratio is 93.8 percent. So in actual numbers, the home listed at $200,000 will most likely sell for $187,600. This kind of information is helpful when thinking about what kind of offer should be made on a property, and what the chances would be of acceptance. Our agents write often to give you the latest insights on owning a home or property in the Smoky Mountain area. Copyright 2019 Great Smoky Mountains Association of Realtors. Some of the listings on this website are shown by cooperative agreement, and may not be listings of The Terrell Team - Prime Mountain Properties. Information deemed reliable but not guaranteed. Last updated 2019-04-23T10:15:37.647. © 2019 Knoxville Area Association of REALTORS®, Inc. All rights reserved. IDX information is provided exclusively for consumers' personal, non-commercial use and may not be used for any purpose other than to identify prospective properties consumers may be interested in purchasing. Some or all of the listings displayed may not belong to The Terrell Team - Prime Mountain Properties. Information is deemed reliable but is not guaranteed accurate by the MLS or The Terrell Team - Prime Mountain Properties. Data last updated: 2019-04-23T09:57:42.473.